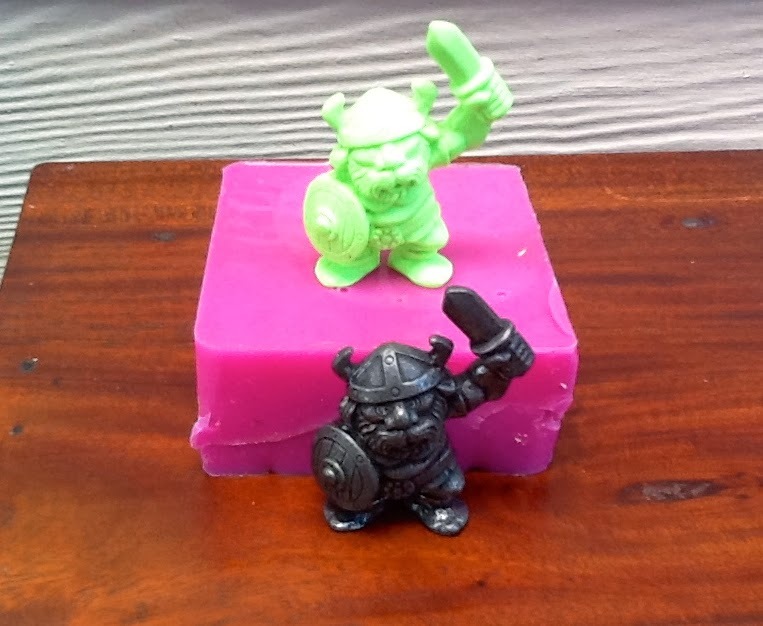 Ironhaus Productions OZ: PRESENT to FUTURE - My 1st Silicone mould & Resin casting! PRESENT to FUTURE - My 1st Silicone mould & Resin casting! Just wanted to do a quick post showing off my first ever Silicone mould & Resin casting that I made in a night class the other day. I was surprised that it turned out pretty good, but I plan on making the leap to casting with Urethane rubber which is a lot harder to work with. 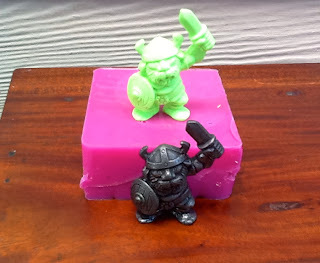 I chose to mould a Ten-Perr pewter Viking from Norway, since I love those guys and you don't see many of them anymore. It did bleed a bit in the mould, and I had to clean the figure by removing the flashing, and I also sanded his seam line a bit in some areas where it was more pronounced. In 2014 I will be casting as much as time allows, between sculpting and other stuff on the horizon. I am planning on getting set up with a Pressure Pot so I can do better quality castings, and in rubber too.